Imagine a world of 20-cent lattes, $11 iPads and gas at 19 cents a gallon. 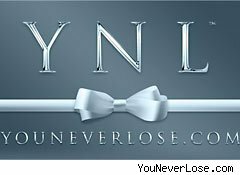 That is the reality that entrepreneur Barry Shore is looking to create withYouNeverLose.com, a penny auction site that offers users the opportunity to buy chances for huge savings -- but unlike similar sites, with this one, you "gamble" without the possibility of losing money. It may sound like a con -- right up there with the Nigerian banking scam -- but it's actually legit. The site auctions off gift cards from popular retailers like Gap (GPS), Amazon (AMZN) and Target (TGT), usually at prices far below face value. That's standard for a penny auction site. But every time you buy bids, you automatically get a gift card of equal value. Spend $25 on bids, and you also get a prepaid reward card for $25 to a retailer you chose. Even if you lose every auction you compete in, worst case scenario, you still essentially get back the money you spent. Naturally, YNL isn't paying full face value for the cards -- the retailers are willing to discount them as a method to get customers in the door -- but for the consumer, it's still a win-win. Say, What Is This 'Penny Auction' Business You're Talking About? For those of you who have never clicked on an online ad offering you the chance to buy an iPad for $11.49 , allow us to explain the original penny auction model. In essence, it's a fusion of eBay and a lottery. In a penny auction, each participant pays a small, nonrefundable fee each time they bid -- a dollar, let's say. Each bid raises the sale price of the item by a penny. When the auction ends, the winner pays the final price and gets the item -- probably at a steep discount. But he, and everyone else, has already paid for their bids. So, say you want that bargain iPad. You pay your buck to put in your bid, and watch the clock. Other people do the same. You pay and bid again ... and again. The price rises slowly, and time runs down. Skip to the end of the auction: When time runs out, if 1,149 bids were made, the price for the iPad is $11.49. That last lucky bidder pays $11.49 more, and gets their iPad -- a wild bargain! But the whole group of bidders -- including the winner -- have shelled out $1,149 for their bids. Total revenue for the auctioneer: $1,160.49. The YNL concept cuts into the penny auction model's margins, but it boosts customer involvement: It's easier to attract customers when they don't have to be afraid they're throwing away money. In less than three months of operation, the company has saved users some $50,000. Shore, a former diamond dealer, retired from jewelry to chase his entrepreneurial urges. YNL is his fourth start-up, after a fax business and a telephony business that was a precursor to Skype. Though he had long been a father, Shore's YNL co-founders Zak Klein and David Winner were quickly growing large families, and they frequently looked to save money by scoring deals on the Internet. "They have six kids between them and started playing penny auctions," Shore said. "But after losing four or five, their wives said, 'If you do that anymore, I'm kicking you out.'" But Klein and Winner didn't want to choose between getting deals and preserving marital bliss. "Instead of grumbling and slamming the computer, they decided to change the model," Shore said. The potential rewards in a penny auction are great, but the odds are slim. The main complaint with most penny auction sites is that it's easy to put a lot of cash into bidding competitively, and then walk away with nothing. Shore, who enjoys the psychological dynamics of playing poker with friends, found the money-loss excruciating. "Ultimately, somebody's happy, but everybody else lost," Shore said. By offering prepaid gift cards of equal value to the points you buy, YNL essentially lets you play for free. And if you do end up winning the auction, you also walk away with your prize. BiteHunter.com claims to provide more dining deals in real-time than any other player in the frugal-eating space. It monitors thousands of restaurants nationwide, sorts through the barrage of special dining offers zipping around social networks, daily deal sites, newspapers and magazines any given week, and pulls them together in a searchable database. The site allows consumers to find restaurant deals based on location, time of day and specific kinds of food, among other filters. It just launched an app for the iPhone that includes a "Bite Now" feature with limited-time offers from companies such as Groupon and LivingSocial. Yelp reviews are available on the app, as well as reviews from Localeats.com. The review site, which ranks the best cheap products and services, partners with Foursquare, the location-based mobile app, to provide picks for the best cheap restaurants in major cities nationwide. Cheapism taps its editors in local markets to review restaurants for affordability and quality. It pairs that input with reviews from sources such as Zagat, Yelp and Urban Spoon, as well as local magazines and newspapers. It then aggregates the reviews, making sure to get a clear positive consensus before recommending a restaurant. The site bills itself as a portal to the world's bests local restaurants. Users can search by city, state, country or price point, as well as by types of cuisine or specific foods, such as clams or ribs. Other search options include "top 100 winners" and "best of category winners." It aggregates the opinions of critics and local bloggers, as well as "trusted friends and site visitors," according to the website. "So, if you see a restaurant listed here, you know it's good!" the site says. Ueatcheap.com tracks restaurants that offer meals for $10 or less per person. On the site, users can locate eateries in their city and state, read restaurant reviews, add their own reviews, and sign up to receive coupons and updates of new restaurants in their area. 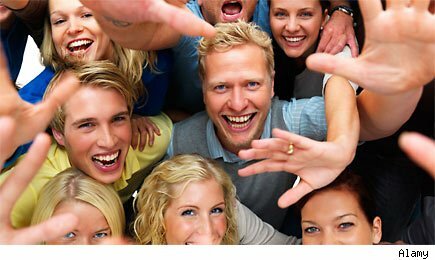 Restaurant.com, which aims to be a community matchmaker, "introducing great restaurants to great people," works a little differently than the aforementioned sites. Foodies save by purchasing one of the site's 45,000 discounted gift certificates to local restaurants around the country. Users can enter either a ZIP code or destination city to find offers for local gift certificates. They can also search the site by type of cuisine, average entree price, new restaurants, atmosphere, among other filters. Registered users can even make reservations on the site.